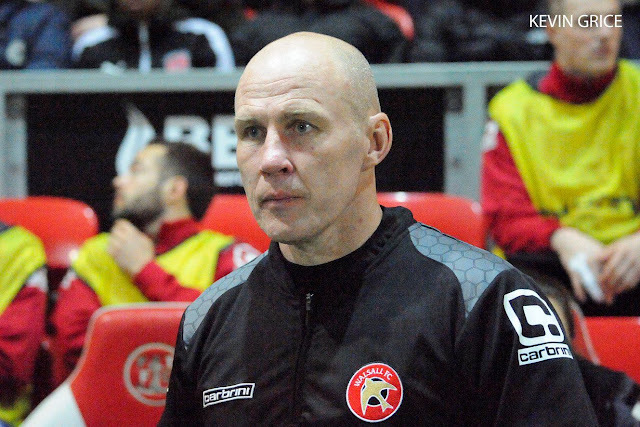 Walsall manager Jon Whitney has spoken to the local press following Saturday afternoon's comfortable pre-season victory over Solihull Moors, and has urges Saddlers supporters to be patient as he seeks to fill the void created by the departures of strikers Tom Bradshaw and Jordan Cook. Speaking to Joseph Masi of the Express & Star, Jon said; "There have been developments but all I will say is watch this space. We have spent many hours looking at players and I have spoken to many people. “I need the right person. I need them to see the kind of energy we have in this bunch and I need the striker to come in and be able to play games. That is why I am being a little bit patient.